The Israeli Parliament, also known as the Knesset is discussing a bill to criminalize taking photographs or recording soldiers on duty, as the country is receiving international criticism for killing and injuring Palestinian protesters near the Gaza border amid tensions regarding the new U.S. embassy in Jerusalem. 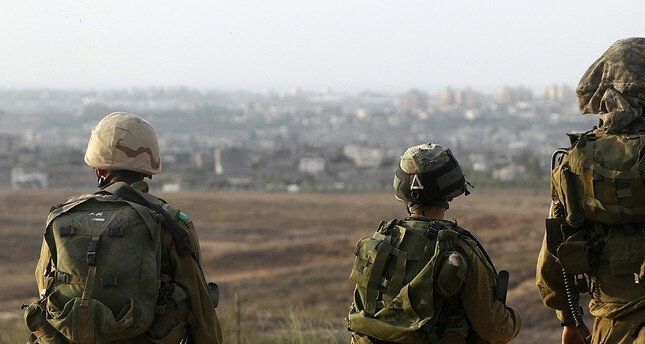 The Knesset reportedly convened on Thursday to discuss the bill proposed "in response to harassment by left-wing operatives of Israeli soldiers while dispersing violent demonstrations by Hamas on the Gaza Strip border," lawmaker Robert Ilatov said. The controversial draft proposes a five-year prison term for anyone who records videos or takes photos of Israeli soldiers while on duty and would also penalize the distribution of such content in the media or social media outlets. In the case that the person takes the photos or recordings with the aim of destabilizing the state's security, he or she perpetrator would be sentenced to 10 years imprisonment. Observers note that the bill would work as a tool to target Jewish and Israeli organizations against occupation and mistreatment of Palestinians by security forces. The Palestinian Journalist Syndicate (PCJ) condemned the bill in a statement, saying that it was "racist" and "severely attacks the profession of the press and legitimizes the criminal practices committed by the Israeli occupation army against the Palestinian people." The organization noted that if passed, such a law would enable the "Israeli occupation to commit more crimes" and is an attempt by the Israeli government to avoid punishment and international justice. The statement also urged international organizations and the U.N. to exert pressure on Israel "to protect the freedom of press work and the role of fundamental journalists in uncovering and documenting the truth." In recent weeks, Israeli soldiers killed at least 60 Palestinian protesters near the Gaza border and injured thousands of others.